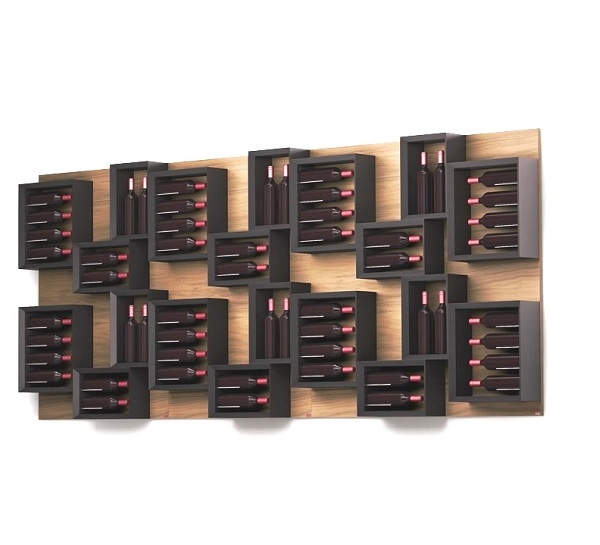 Esigo 5 is also highly functional: a wooden wall-mounted wine rack, by no means cumbersome being just 18 cm in depth, guaranteeing maximum visibility for all the bottles. The bottles are stored individually allowing fetching the needed bottles easily without disturbing or re-arranging other bottles. The bottles are stored individually allowing fetching the needed bottles easily without disturbing or re-arranging other bottles.